Julius C. Jefferson, Jr., former DCLA president (2015-16), seeks 2020-21 ALA presidency! Our former DCLA president, Julius C. Jefferson, Jr., 2015-2016, is running for 2020-2021 ALA president! Read the ALA Press Release, here. Dr. Rondelle Price is a lifelong educator with over 17 years of experience in the field of education. 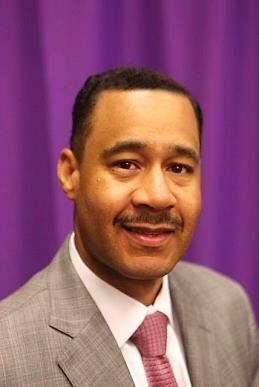 Dr. Price began his career as a 5th Grade teacher at John E. Howard Elementary School in Prince George’s County Public Schools. He has spent eight years of his career working for the Anne Arundel County Public School System and Baltimore City Public School System as a Library Media Department Chair. Dr. Price has also been a High School Assistant Principal, Acting Principal & School Test Coordinator at the SEED School of Maryland. 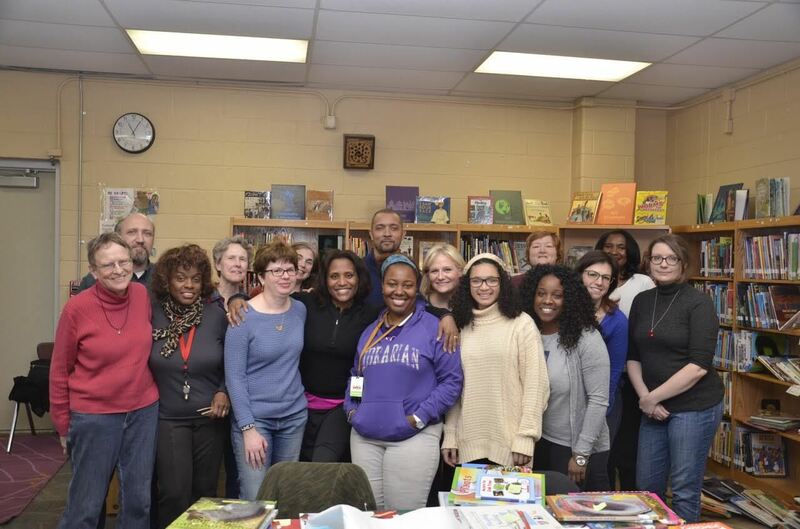 Currently, Dr. Price serves as the Manger of Library Programs for the District of Columbia Public Schools where over the past 4 years he has provided direct support to over 100 Library Media Specialists operating in every District of Columbia Public School. Dr. Price holds a bachelor’s degree from Norfolk State University, a master’s degree from Bowie State University, a Certificate of Advance Studies in Education in Library Science and Administration and Supervision from the Notre Dame of Maryland University, and a Doctorate in Educational Leadership from Bowie State University where he was awarded the 2013 Dissertation of the Year. Tracy Sumler has been working in public libraries for over 20 years having worked in 5 library systems and currently working for the DC Public Library as the Outreach and Inclusion Manager. She has served on ALA Council as a Councilor-at-Large until annual conference June 2017, as well as committees for YALSA, and ALSC. Starting in July, She will be a member of ALA Committee on the Status of Women and ALA Training, Orientation and Leadership Development. As a participant of DCLA, ALA, and PLA, she firmly believes in the power of professional organizations and how they work to advocate, develop, and support libraries as well as the staff that work in them. DCLA represents a variety of libraries, academic, law, public, and so much more. Her vision is all DC libraries united. She would take this opportunity as DCLA Vice President/President-Elect to bring all of these libraries together. Heather A. Wiggins, J.D, MLIS, is a Copyright Specialist at the United States Copyright Office located within the Library of Congress. Ms. Wiggins received her Bachelors of Arts degree from the University of Wisconsin-Madison where she triple majored in Spanish, International Studies, and LACIS (Latin America, the Caribbean and Iberian Studies). She also received a Certificate in Global Cultures, and studied abroad in Madrid, Spain. 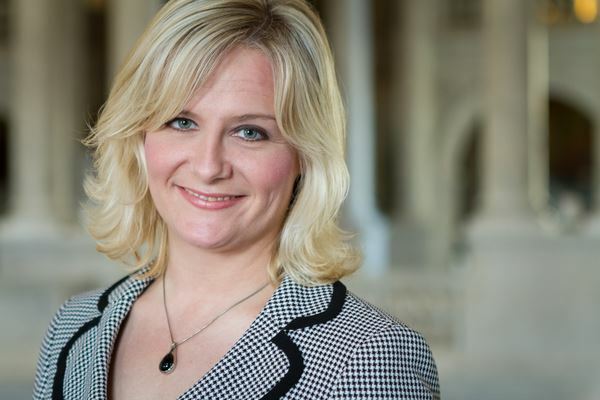 She received her law degree from the University of Wisconsin Law School, and her Masters in Library and Information Science from the Catholic University of America, where she focused on Law Librarianship. She has researched libraries and cultural institutions abroad, including research trips to the Vatican Secret Archives and to the Capitoline Museum in Rome. She is also a frequent volunteer at the National Book Festival fielding questions about Copyright and about the Library of Congress. Ms. Wiggins is also the Owner/CEO of the Writer's Edge, LLC. She is also an Adjunct Professor at Catholic University, teaching the Copyright and Licensing Institute. She currently serves as a Board Member for the Story of Our Schools, an organization that seeks to help preserve and bring to life the history of DC by empowering youth to discover, develop and share permanently exhibit the stories of their schools and communities. She enjoys mentoring, reading, writing, traveling, and on finding ways to give back to her community. Lisa Massengale is the Head of the Science Reference Section in the Science, Technology & Business Division at the Library of Congress. In this position Lisa is responsible for developing the Library’s collection in all areas of science and ensuring the Section’s public programs and outreach initiatives are integrated into the strategic plan of the Library. Before joining LC she was the Head of Research and Instruction at the Illinois Institute of Technology Paul V. Galvin Library, an Information Services Librarian and Assistant Professor at the University of Illinois, Chicago Health Sciences Library and an Associate Fellow at the National Library of Medicine. Lisa holds a MLIS from the University of Pittsburgh and a MPH from the University of Illinois, Chicago. Víctor Benítez is a Labs Librarian at the Shaw (Watha T. Daniel) Neighborhood Library. Victor has worked with the DC Public Library since 2013, having had stints at the Tenley-Friendship Neighborhood Library and at The Labs at DCPL in the Martin Luther King Jr. Memorial Library. Victor also coordinates DCPL on Full Service Radio, dcpl.fullserviceradio.org. Before joining the DC Public Library, Victor worked at a dual-language community college in Maryland, The Corcoran College of Art + Design Library. Victor has been a member of the DC Library Association since 2013, he sits on the Student Financial Aid Committee, and previously was the Board's secretary (2013-2017) and newsletter editor (2014-2017). Victor is from Chicago, worked at The Newberry while completing library school via LEEP and received his MSLIS from the iSchool at the University of Illinois at Urbana-Champaign with a certificate in Community Informatics. Victor lives in Petworth, Washington, D.C.
Jesse Lambertson is Head of Cataloging & Metadata at Georgetown Law Library, co-owner of Metamedia Management, encourages collaboration between library associations and embraces the librarian-as-life-long-learner thing. He loves libraries as metaphor and as places to check out books. He has set up email systems and administered several websites. He looks forward to serving the DC Library Association. Nicholas Alexander Brown has served as a music specialist/concert producer for the Library of Congress Music Division since spring 2012. His duties include programming for the Library's concert series, co-managing outreach initiatives, and promoting the Library's performing arts collections. An active conductor, musicologist and chorister, he is the founder and music director of The Irving Fine Society. He is presently conductor of the Library of Congress Chorale and Washington Sängerbund. A native Bostonian, Brown previously worked in the Harvard University Office of the President and Provost, and held internships in the Office of the First Lady at the White House (Obama Administration) and the Boston Symphony Orchestra Press Office. He recently gave conference presentations at the University of Oxford, Technische Universität Dortmund and Carleton University (Ottawa). Brown holds an M.Mus in Musicology from King's College London, an M.S. in Library and Information Science from The Catholic University of America (Cultural Heritage Information Management concentration), as well as a B.A. in Music (Conducting Performance) and History from Brandeis University. He is the president of the Library of Congress Hispanic Cultural Society, the vice president of Beta Phi Mu-Iota Chapter (the Library and Information Science honors society), and a past chair of the Library of Congress LGBTQ+ employee association (LC-GLOBE). Brown was recently appointed to the advisory board for the Department of Library and Information Science at The Catholic University of America. He is a chorister with the Tanglewood Festival Chorus and was a French horn player and junior enlisted conductor in the 215th Army Band. Brown is a contributor to The Oxford Encyclopedia of the Bible and the Arts (2015), and writes for "HuffPost Blog" and the Music Division's "In the Muse" blog. Eboni M. Henry is the Branch Manager for the District of Columbia Public Library, where she has worked since 2004. She is the current Director of Advocacy for the District of Columbia Library Association and has held positions as Children’s, YA, and School Interests group Co-chair (2004-05) & Chair (2006-2012). She is an active American Library Association member since 2001; she has served American Library Association-Allied Professional Association- Standing Committee on the Salaries and Status of Library Workers- Appointed Chairperson (2011-2014), elected to Council At-Large 2013-present, and Committee on Legislation, 2013-present. She is also a lifetime member of the Black Caucus of American Library Association since 2004. In addition, she has served on the Executive Board, 2010-2013 and Chairperson of the International Relations Committee 2008-present. Eboni earned a Bachelor of Arts in English from Tuskegee University and a Master in Library Science and Information Studies from Clark Atlanta University. Leah Castaldi is currently a Cataloging Librarian contracted to the Government Publishing Office (GPO). She obtained her Masters’ in Library and Information Science from Pratt Institute in Brooklyn, NY in 2014 and promptly moved to the DC area for work. Leah engages with the library community through volunteer opportunities and continues to take part in professional development. Kimberly B. Knight served as Career/Leadership Director with DCLA from 2015-2017. Her actions as Career/Leadership Director have included several panel programs, working with the Systems Director to revamp the Jobs Portal, and working to bring DCLA’s first webinar to the membership. She is a current ALA Councilor-at-Large and is active with DCLA, PLA, LLAMA, and the Virginia Library Association (VLA). Kimberly has presented conference sessions and/or webinars with ALA, DCLA, LLAMA, and VLA. She currently works as a Manager with DC Public Libraries. Kimberly has enjoyed two years on the DCLA Board and is very excited to continue serving. Saadia Raines is a technician for Preservation Technologies at the Library of Congress. She has been working as an information professional for 15 years in various information centers and libraries spanning from government, education, and international organizations. She obtained her Master of Library science degree from the Catholic University of America, preceded by a bachelor’s degree in fashion merchandising/textile design from Howard University. Her expansive qualifications include: research instruction, records management, archives, and digital preservation. 1) Claudia Guidi has worked as a User Support Specialist at the Congressional Research Service, Library of Congress. She provides technical services that include supporting a large publishing platform, consulting on software development, and systems training. She is also a recent graduate from the Catholic University Library Science program, where she obtained a Masters of Science in Library and Information Science with a concentration in Digital Libraries. She is also an active member of the ALA (American Library Association) and DCLA. She has helped with planning and outreach for the ALA Chicago 2017 Video Round Table Gala event. In addition, she has served on the DCLA Emerging Technologies Committee where she has helped to coordinate a webinar for job seekers and co-produced a video to make the webinar available nationwide. By volunteering for Career and Leadership at DCLA, Claudia seeks to help students, recent graduates, and professionals at any stage of their journey to find satisfying jobs, advance their careers, and become leaders. Richard Huffine is a librarian at the Consumer Financial Protection Bureau in Washington, DC and was DCLA President in 2010-2011. Richard has also served on the SLA Board of Directors and was a founding member of the SLA Government Information Division. Within ALA, Richard has served as President of the Federal and Armed Forces Round; Chair of the ALA Committee on Legislation Government Information Subcommittee; Member of the Office of Information Technology Policy Advisory Committee; and member of the ALA Legislative Assembly. He has held prior positions with ProQuest, the U.S. Environmental Protection Agency, and U.S. Department of the Interior, and the General Services Administration. He earned his MLIS from the University of North Carolina-Greensboro and is currently an Adjunct Professor for the Catholic University of America's Library and Information Science graduate program. Tracy Sumler has been working in public libraries for over 19 years. She worked in 5 library systems and is currently working for the DC Public Library as the Outreach and Inclusion Manager. She is currently serving on the ALA Council as a Councilor-at-Large until June 2017. She has volunteered and is currently serving on committees for YALSA and ALSC. Thank you to everyone that came out for this year's MLK Day of Service!!! 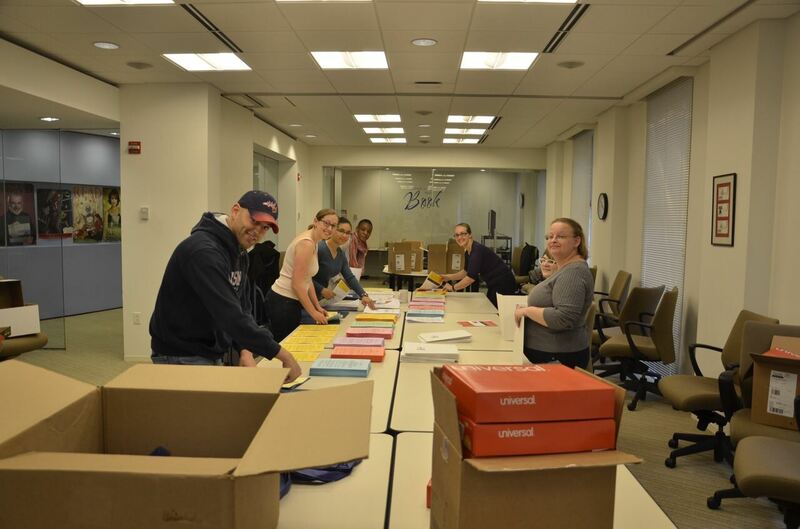 Not only were we able to help a D.C. school library in need, but we were also able to honor Dr. Martin Luther King Jr.'s memory in a special way while listening to his speeches and having fun working together. DCLA friends and members ROCK!!! See more pics of this event on our Facebook page! The January 2017 Capital Librarian is now available! 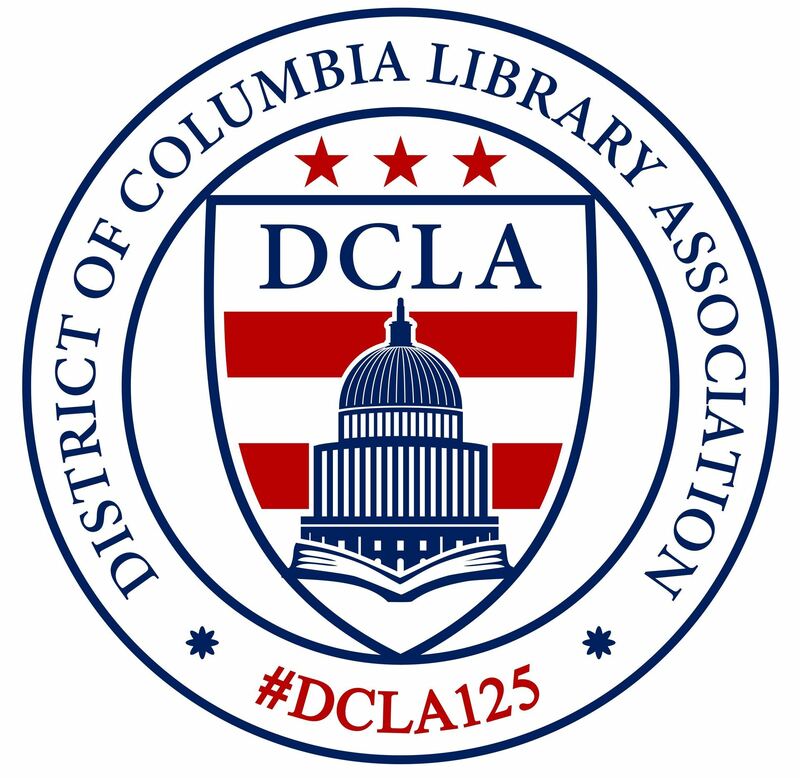 Keep up with DCLA activities and events! The latest issue of Capital Librarian is now available! You can also view it in our archives. As 2016 comes to a close, DCLA will be off and running at the start of the new year. We are offering members three different prog ram options in January, each with its own very different appeal. First up is our “Copyright Workshop” on Wednesday, January 11, presented by John H. Ashley, the Visual Arts Chief at the U.S. Copyright Office. With a law degree from Harvard University Law School, Mr. Ashley is an expert on intellectual and tangible property laws. He is an exceptional speaker that will keep you on your toes during this engaging interactive session you won’t want to miss – register today! Next on the schedule is our 3rd annual MLK Day of Service, Monday, January 16. This service project was originally initiated by our Past President, Christina Bailey, in response to ALA President Courtney Young’s advocacy challenge. 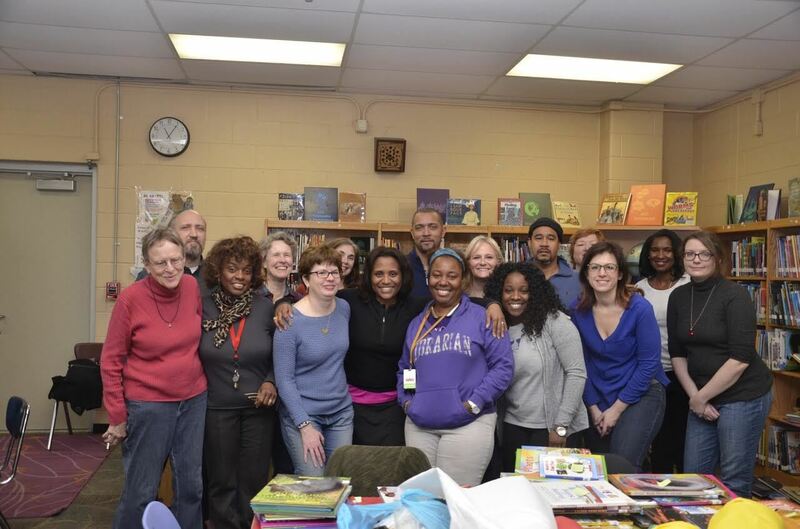 The project aims to serve as a tribute to the memory of Dr. Martin Luther King, Jr. and his commitment to community service.DCLA will be calling on all member librarians, information professionals, and library supporters to volunteer between the hours of 9 a.m. and 3 p.m. at a specific D.C. Public School library. Two school libraries have been identified and the final determination will be made after January 4, 2017. Be sure and look for updates on our website or social media outlets and register when available. On January 24, our newly established “Librarians & Friends Book Club” will discuss their third book, Swing Time by Sadie Smith. If you are interested in attending, meet the group in the upstairs meeting space at the Starbucks on Capitol Hill located at 237 Pennsylvania Avenue, SE (Washington, DC 20003) at 6:30 p.m. Capitol South is the closest Metro station. Also remember that this is a public group which is open to everyone – so, feel free to invite others to attend. If you have any questions about this club, contact DCLA Vice President, Candice Townsend via email at ctow@loc.gov or by phone at (202) 230-8204. In addition to the programs mentioned above, our Systems Director, Qaddafi Sabree, and our Career and Leadership Development Director, Kimberly Knight, are hard at work implementing a new public Jobs Forum. This new service will offer free access to job seekers, whether they are members or not, and a free trial posting period for employer institutions. Look for more details down the road. There are great things in store for DCLA in 2017 – make sure you are a part of it!!! We are off to a great start this year and have even more exciting programming down the road. As I mentioned during our annual Awards Reception back in May, my focus will be on providing oppo rtunities for members to connect. Last month, we had a wonderful turnout at our Annual Fall Membership Reception at Smith Public Trust with over sixty members in attendance – thanks to everyone for coming out! Folks were very happy with the open venue, just a short walk from the Brookland-CUA Metro station, where they could easily mix and mingle while enjoying sumptuous appetizers and drinks. If you happened to miss the event, don’t worry – we plan to hold other get-togethers there as well, so keep an eye out for event updates. On September 29, we celebrated Banned Books Week with a Read Out program at the Library of Congress, presented in collaboration with the Library of Congress Center for the Book, Young Readers Center and Freedom to Read Foundation. I opened the program by talking a little bit about the history of banned books then participants read from some of their favorites, including the picture book I Am Jazz by Jessica Herthel and Jazz Jennings, Ellison’s Invisible Man and Steinbeck’s Grapes of Wrath. Pamela Jackson, the new Director for Center for the Book, closed out the program. On Wednesday, October 19, please come out for our free program “Copyright: Don’t Panic.” We had a little trouble in the beginning securing a venue, so we apologize for the short notice. However, with some quick maneuvering by our Vice President, Candice Townsend, and ALA Chapter Councilor, Emily Wagner, we now have the spacious and convenient Hannan Hall (Room 10) at Catholic University of America. Our speaker is an expert from the Copyright Office and you definitely won’t want to miss this. You will have an opportunity to make a direct connection with the U.S. Copyright Office and have all of your burning questions about copyright answered. Hannan Hall can hold up to 175 people and is conveniently located between the McMahon parking lot and the Pryzbyla University Center. Let’s pack the house and get you hooked up with the Copyright Office! Again, the event is FREE – register today at http://www.dcla.org/event-2355373. On Tuesday, October 25, be sure and come out for the 3rd Annual Battle of the Librarians! The event will be held at Hill Country BBQ located at 410 7th St NW (Chinatown or Archives Metro – Red/Green/Yellow). Show off your trivia knowledge and have fun with colleagues as you partake in some of the best BBQ in the D.C. area. 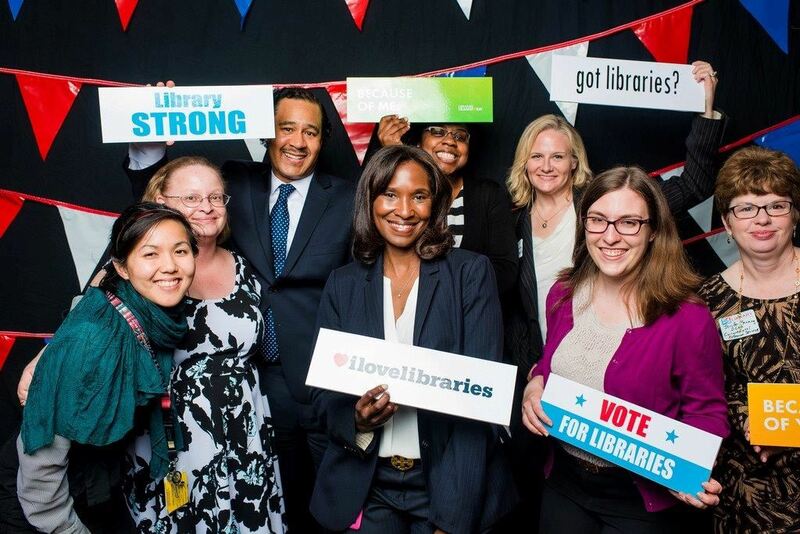 Let’s give LLSDC (Law Librarians’ Society of Washington, D.C.) & DC/SLA (D.C. Chapter of Special Libraries Association) a run for their money and show them that DCLA is a force to be reckoned with. This event is also FREE! Food and beverages are available for purchase. Register today! Wednesday, November 2, we have a panel discussion lined up to provide “Tips and Tricks for New Managers” at the MLK Memorial Library Dream Lab. If you are new to management or supervision, or are hoping to be promoted, this is the program for you! 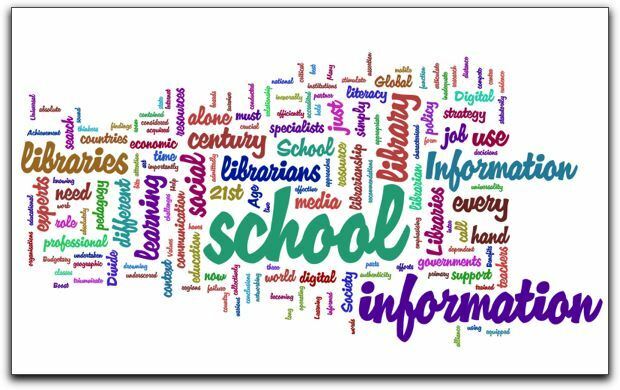 You will have the opportunity to ask any questions you might have related to this topic and get answers from library managers in public, school and government settings. Light refreshments will be offered prior to the session, along with a chance to network with colleagues before hearing top advice tips from our panelists. If you have any questions regarding this program or would like to provide input, you can reach out our Career & Leadership Director, Kimberly Knight at dcladirector2@gmail.com. We are still in the process of finalizing other exciting opportunities, including a special tour of the National Archives and Records Administration in December! Be sure and stay connected by checking our website at www.dcla.org for upcoming events and joining DCLA’s Facebook, Twitter and LinkedIn accounts. I hope to see you at one or more of these amazing events! The October 2016 Capital Librarian is now available!